As Mitt Romney gradually expands his lead in national polls of Republicans, and his would-be “true conservative” rivals struggle to emerge from the Lilliputian pack, there’s a growing consensus that GOP voters are more concerned about picking an electable nominee than in maintaining the conservative purity of their party. This belief nicely coincides with the abiding faith of Beltway pundits that the ideological bender represented by the Tea Party movement is coming to an end as the Great Big Adults of the Daddy Party reassert control. But while there is, in fact, plenty of evidence to suggest that “electability” is a significant factor in the calculations of the GOP rank-and-file, the implication that Republicans are becoming more pragmatic in their choice of candidates remains a big—and exceedingly unlikely—stretch. The driving force behind the media’s new obsession with electability is a series of recent polls on the subject. A June 13 Gallup survey showed 50 percent of Republicans and Republican-leaning independents favoring “a candidate with the best chance of beating Barack Obama, but who does not agree with you on almost all of the issues you care about,” while 46 percent favored “a candidate who agrees with you on almost all of the issues you care about but does not have the best chance of beating Barack Obama.” A June 16 poll by PPP showed an even larger “pro-electability” margin: If forced to choose between “a candidate with conservative positions on every issue” and “one with the best chance of defeating Barack Obama,” the latter proposition led the former by a margin of 56 to 31. But it’s important to keep in mind that, back in January, a CNN poll with wording closer to Gallup’s showed a 68-29 margin for the “electable” candidate. The CNN poll indicates that while “electability” is clearly a factor, it’s not at all clear that it’s a growing concern among Republicans. Indeed, despite elite GOP concerns that Barack Obama will be a very difficult candidate to defeat, there is a more prominent conservative narrative being promulgated about Obama’s immense unpopularity—one that has the effect of making his defeat appear exceedingly easy. The steady drumbeat of conservative media claims that Obama is a disastrous president—half Jimmy Carter, half Herbert Hoover—whose policies were decisively repudiated by the American people in 2010 has created a steady undertow of belief that virtually any credible GOP nominee could beat him. Rank-and-file Republicans, for example, are less inclined than elites to assume no candidate other than Romney (or perhaps Huntsman) is electable. A recent Daily Caller poll of Republicans on the question of which candidate best fit this profile placed Romney first at 30 percent, but showed non-candidate Chris Christie second at 15 percent, Herman Cain at 12 percent, and Sarah Palin—almost universally considered unelectable in elite opinion—at 10 percent. In other words, while voters might claim to care about electability, there’s no guarantee that they are anywhere near agreement about what the term means and to whom it could conceivably be applied. In addition, it’s by no means clear that voters’ stated opinions about the candidates’ electability have any real translatable value to their popularity in the early primaries. 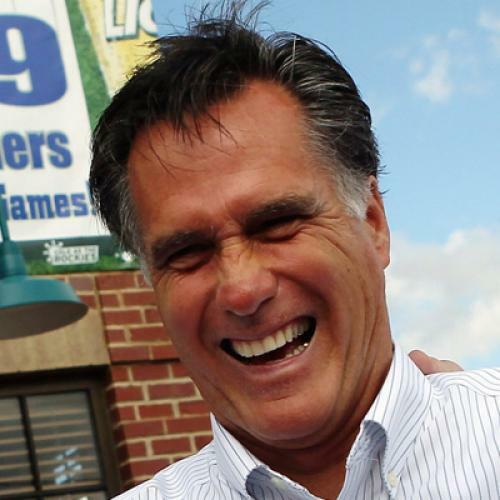 Romney’s electability numbers are well below those registered by Rudy Giuliani, for instance, at this point in the 2008 cycle: Nearly half of Republicans considered him the most electable candidate in July of 2007. Giuliani’s support, of course, collapsed once voting got underway, even though Republicans were far more pessimistic about their odds of winning in 2008. But however you choose to interpret the impact of the electability issue for Mitt Romney, the broader argument that the rightward lurch of the GOP since 2008 is a mirage or a tactic, soon to be abandoned for the sake of pragmatism or swing-voter opinion, is extremely dubious. In the wake of the 2008 debacle, to an astonishingly overwhelming degree, Republicans concluded that a more rigorous conservative message and a highly confrontational attitude towards Democrats were not only essential to the demands of their principles, but represented the only path to electoral victory. This has, of course, been a staple of movement-conservative belief ever since Phyllis Schlafly published A Choice Not an Echo back in 1964, but it has rarely secured the kind of apparent vindication among Republicans as it did in 2010. To the extent that conservatives worry about electability going into 2012, they are as likely to fear a nominee who is too moderate to one who is too conservative. The best example of the enduring nature of the GOP’s rightward trajectory is, ironically, Mitt Romney himself. He ran as the true conservative alternative to Rudy Giuliani and John McCain in 2008, and is running as the establishment pragmatist candidate today. But in every significant respect, he’s much more conservative now than he was then. He certainly didn’t feel the need to explain away his Massachusetts health plan in 2008, and also would have never suggested a federal debt default might be necessary if draconian cuts in federal domestic spending were not enacted. It’s a sign of the times that the more conservative Romney 2.0 is having to defend his ideological bona fides. To be sure, in a field composed almost entirely of conservative ideologues with little daylight between their beliefs, Republicans will compare candidates based on general election poll performance against Barack Obama, as well as perceptions of whether this or that candidate is insufficiently “presidential” (the rap against Tim Pawlenty) or “prepared to serve” (the rap against Cain and Palin). Depending on their alternatives when the voting gets underway, GOP primary voters could decide to give Romney a mulligan on his past health care reform heresy, since he’s sturdily conservative on every other issue and is now promoting a federal health care plan that is solidly right-wing. Or they could support Tim Pawlenty’s apparent gambit to depict himself as the most electable candidate who is willing to check every conceivable conservative ideological box. But that’s very different from the idea that Republicans are looking for the most moderate, rational figure. The one candidate who seems to be marketing that old model of establishment Republicanism, Jon Huntsman, is likely about to find out very painfully that his party is not going to accept a presidential nominee, however electable, who is reluctant to call himself a “conservative” or attack his former boss in the Oval Office. So while Republicans might want to beat Barack Obama in the worst way, don’t expect them to believe they have to choose electability over ideology. In today’s GOP, that sort of thinking will earn you the dreaded label of RINO.